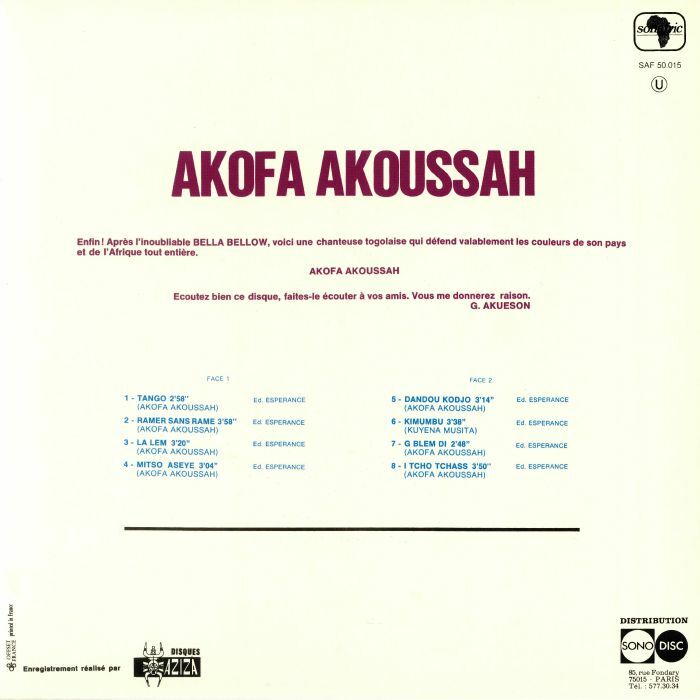 Akofa AKOUSSAH Akofa Akoussah (reissue) vinyl at Juno Records. 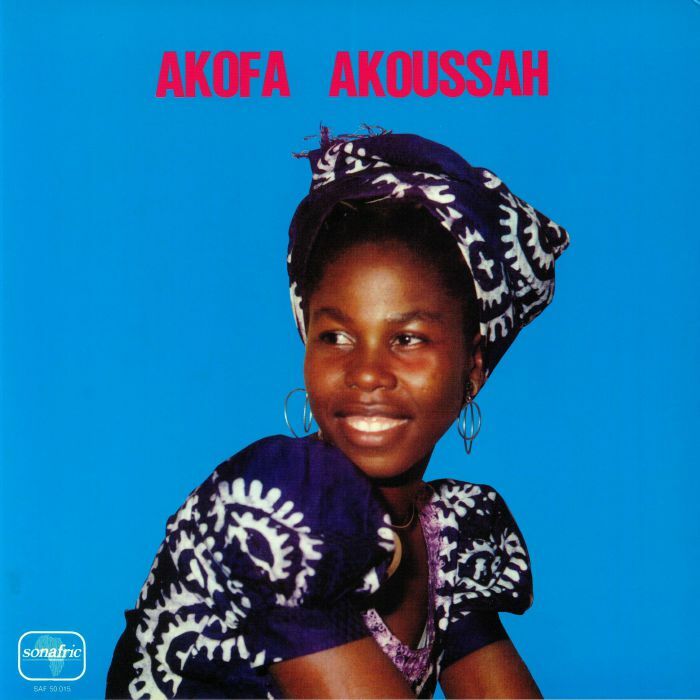 For their latest deep dive into forgotten and sought-after African music, Mr Bongo has secured the rights to reissue Togolese singer Akofa Akoussah's eponymous 1976 debut album. Akoussah was already something of a scene veteran when she recorded the set for Paris-based Sonafric, having made her vinyl debut in Togo 11 years earlier. 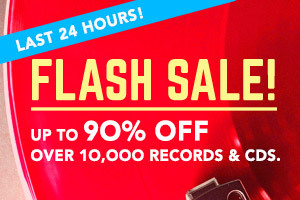 The set remains something of a classic, with Akoussah variously delivering sweet vocals over local rhythms and guitars, bass, horns and Moog synth parts that showcase her Western funk and soul influences. There are some suitably heavy dancefloor workouts throughout (not least superb opener "Tango") as well as more laidback and stripped-back cuts. Curiously, the echo-laden production makes it sound like it was recorded in the mid '60s rather than the 1970s, but that's no criticism; it just adds an extra edge of intoxicating fuzziness.